How and when did you first start running? I joined Stroud Athletic Club when my first job took me down to Gloucestershire and I started sitting still more but still consuming vast amounts of biscuits… excersis was needed! There was a bloke called Jim who lead a ‘steady’ group. I’ve channeled him ever since. What brought you to Nidd Valley? Ran once with Harriers, decided there must be something better, turned out I was right! What is your favourite running music? Genre or specific tracks? I don’t listen to music, mostly because of the tech faf needed, and my pace would be all over the shop. I much prefer to talk to others, or enjoy the quiet of the countryside. What are your running goals? 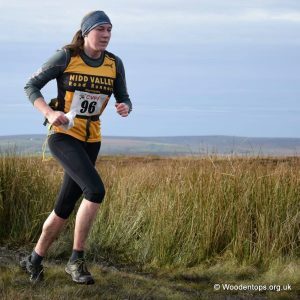 To stop getting injured, complete a decent winter training regiment, run long distance, and complete some Lakeland classic fell races respectably….BG? Who knows! What event are you training for at the moment? An Ilkely Skyline, the Wensleydale Wedge and the FRA/Hodgsons Bros relays in the Autumn.